Muizenberg Beach: If you are up early you can photograph the seascape at low light — best done in winter as in summer the sunrise is about 05h00. Watch your gear as the beach is a public area and there will not be any security in the early morning. Great opportunity to get some surfing shots with long shadows. The old railway at Muizenberg is also a wonderful building. 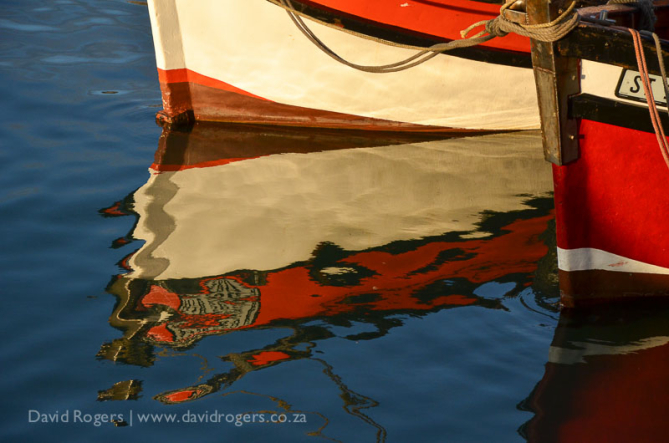 Kalk Bay Harbour: In the early morning it’s a great place to catch the sunrise. In the afternoon watch sea-weathered fishermen bringing in their fishing catches and selling them on the wharf. The local fishermen are usually happy to have photographs taken especially if you buy some fish. 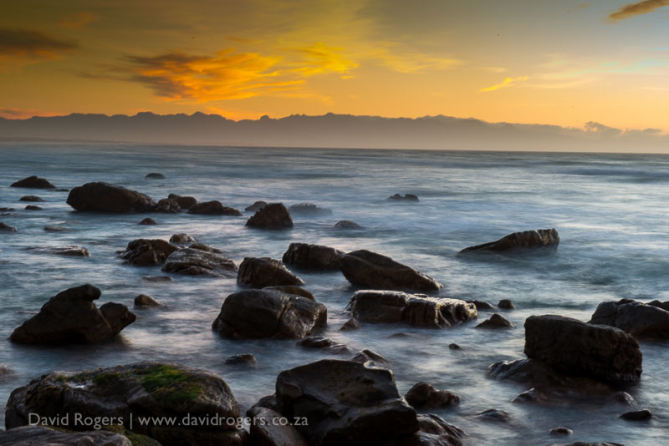 Photographers note that this area and much of False Bay loses the sun quickly in the afternoons.When the south easterly wind hits Cape Town and photography elsewhere is tricky head for Kalk Bay on the high tide and capture the drama of giant waves crashing over the wall. We strongly recommend a lunch at Harbour House Restaurant while you are there. 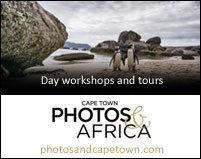 African Penguins at Simonstown: The African Penguin colony in Simonstown is a fascinating place to visit. From an initial breeding pair in 1993, there are more than 2500 penguins here and its one of the largest mainland colonies to be found. Its great to see them in the early morning when they start preening themselves on the beach in groups before heading out on their daily forays. They can travel more than 100 kilometres a day. 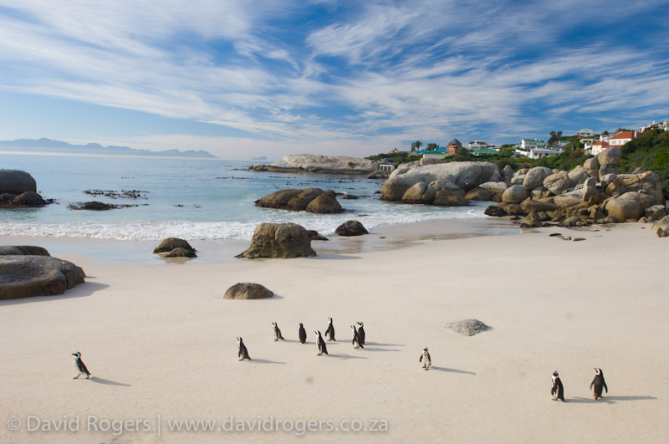 Don’t miss out on a visit to Boulders Beach itself where you can walk — and even swim — with these delightful seabirds. Don’ t get too close though as they have a vicious bite. Moulting takes place, usually in November, at which time the birds can look a bit bedraggled and are landbound. A really great way to get to see the seals and this stretch of boulder strewn coastline is by sea-kayaking here from Simonstown. False Bay the Serengeti of the Sea: Protected by Hangklip on one side and Cape Point on the other, False Bay offers Cape Town’s wildest game viewing experience. The ultimate sea adventure trip is to go on a day trip from Simonstown with the likes of Apex Shark Expeditions. Apex is owned by Chris and Monique Fallows and they have been documenting and photographing sharks here for more than a decade. They have done immeasurable good work. The trip is most valuable during the winter months July to September when there is a chance of witnessing breaching great white sharks and also diving and photographing them underwater. 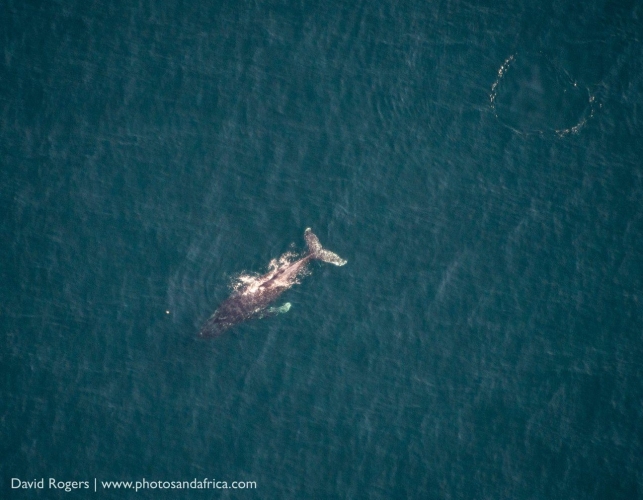 There are also fantastic opportunities to photography Southern right whales breaching and lob-tailing at this time when they come in to calve. From February to May, which is the warm summer months, there are fantastic sardine-run like scenes in False Bay with schools of up to 600 dolphins to be seen. If you are keen on diving with seals and cow sharks and doing underwater photography this is also a great option. 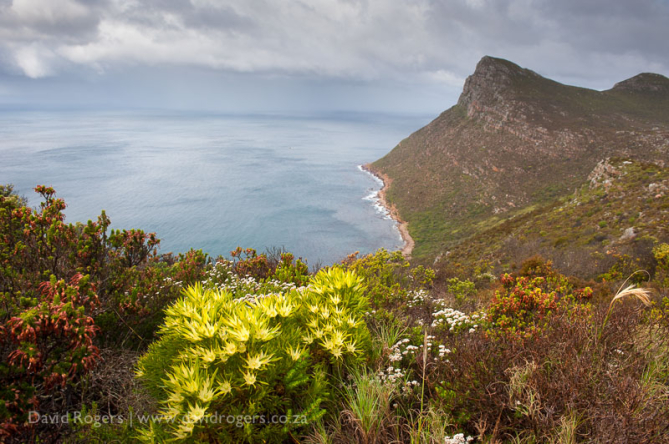 Cape Point: As part of Table Mountain National Park and several sites making up the Cape Flora encompassing 7 750 hectares of rich and varied flora and fauna. It has Bontebok, Cape Mountain Zebra as well as over 250 species of birds. Cape Point is a busy place — lots of buses and tourists. So its best to get there early — or late. You will want to get a shot of the tip of the Peninsula (its not the most southern point nor where the two oceans meet) and also the ostriches and antelope with the sea behind. The landscapes here are stunning and especially so if you explore some of the lesser known roads. There is an option to bike to Cape Point something that can be quite fun if you want to mix photography and fitness and easily arranged. 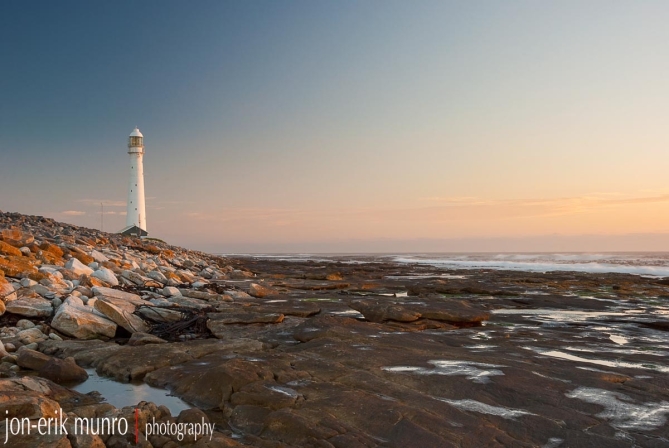 Slangkop Lighthouse: The lighthouse at Kommetjie, called Slangkop, is a great evening photographic destination that will appeal to landscape photographers. 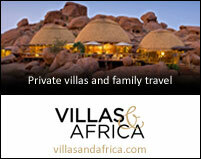 If you want to stay the night here there is a tented camp run by SANParks which is close by. This area is also close to the wonderful drive known as Misty Cliffs. 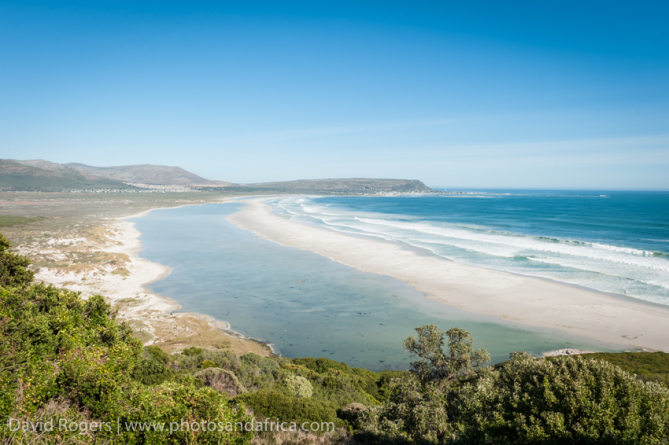 Noordhoek Beach: The long white beach has Chapman’s Peak on one side and Kommetjie on the other. Venture down the beach and there is a shipwreck which offers great options for photography. It is not suggested to be alone on this stretch of beach. The area is often used to exercise horses and this can make for great photography. Chapman’s Peak: Driving up Chapman’s Peak there are great views left over Noordhoek Beach towards Kommetje. The Chapman’s Peak Drive was built between 1915 and 1922 by convicts has been retained of late by sophisticated engineering and earns its place as one of the great drives of the world. 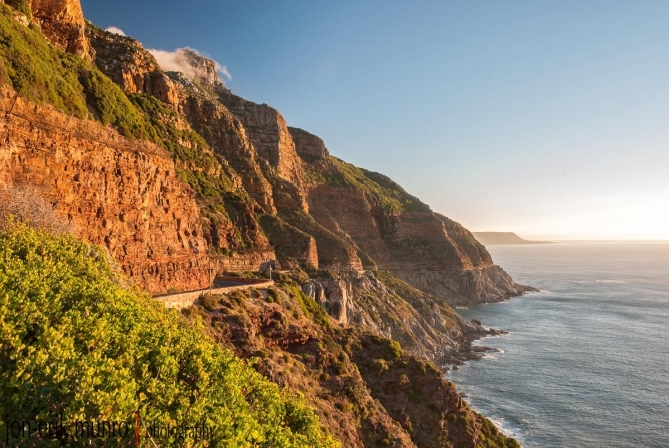 The views back towards Chapman’s Peak are best in the afternoons — but the northerly views towards Hout Bay are better in the mornings so you might want to do this drive twice. Seal Island: A really quick way to get out to sea — and back — is to head to Seal Island in Hout Bay. Trips leave on the hour and take about 45 minutes. You will get to see seals, water birds and also great views of Chapman’s Peak. The trip starts and ends at the Hout Bay waterfront and the trip is very predictable but also good fun. The 12 Apostles and Constantia Winelands: One of my favourite views of the 12 Apostles is from the car park at Maiden’s Cove in Camp’s Bay — it can be devilishly windy if the south easter is blowing but you can find all sorts of angles from here with the dramatic granite boulders forming a wonderful foreground. Kirstenbosch Botanical Gardens: A real treasure of Cape Town on the slopes of Table Mountain, this was bequeathed to the state by Cecil John Rhodes and is now the headquarters of the National Botanical Institute and has wonderful gardens that represent many of the biomes of South Africa including the Cape Floral Kingdom and Succulent Karoo. A highlight is the boomslang (tree snake) walk through the forest canopy. Also look out for the nesting eagle owls which are resident here and the spectacular avenue of Camphor trees. 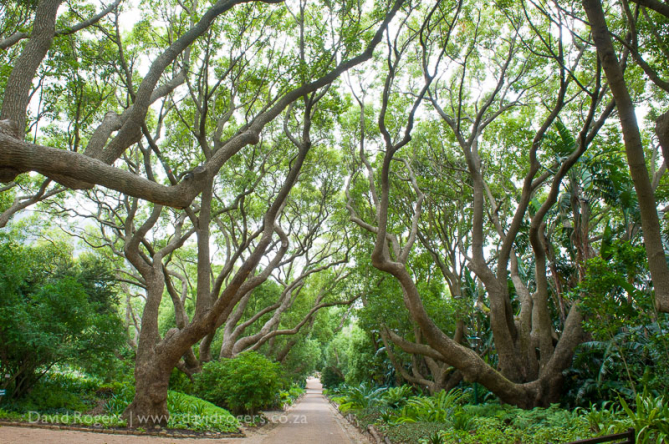 Kirstenbosch has dramatic mountain backdrops and is well worth a visit any time of the day. If you are not up to walking too far it is possible to take a guided tour in a golf cart. Photographers might want to book a private tour. Constantia Winelands: If you get up onto Ou Kaapse Weg you can see the oldest winelands in the Cape with Table Mountain behind. Visiting the Groot Constantia, Steenberg and Klein Constantia winefarms is also wonderful with plenty of Cape Dutch Architecture to be photographed, vines to be photographed and wines to be tasted. 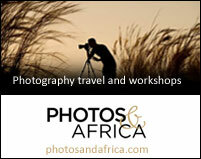 Read more about photographing the winelands. Table Mountain by Cableway: An even quicker way up the mountain is via the Table Mountain Cable Way — it runs daily and the last car comes down after sunset. Best to head up on a clear day and do it either early or late. Summer afternoons are often cancelled because of wind. 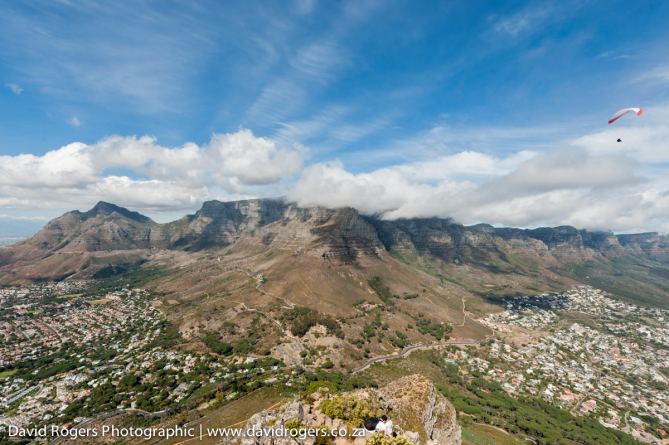 If you are keen to see more about the mountain and have strong legs it is suggested that you follow the path from Kirstenbosch over the top and come down via the Cable Way. It takes about 8 hours and make sure you have a map, water and good shoes. Adderley Street and the Company Gardens: Before the Cape Town Foreshore was reclaimed for development visitors arriving at the dock looked up Adderley Street, through the Company Gardens and with Table Mountain at its incredible backdrop. Although South Africa’s ‘Champs Elysees’ vistas has been blocked by the dockland developments you can still get the idea that the original architects of Cape Town city had by taking a walk up the Company Gardens, past the Cape Town Museum, Planetarium, Houses of Parliament and Art Gallery. Great architecture on the way. Bo Kaap, the Flower Sellers and Shortmarket Street: The city of Cape Town provides great photographic of people opportunities. 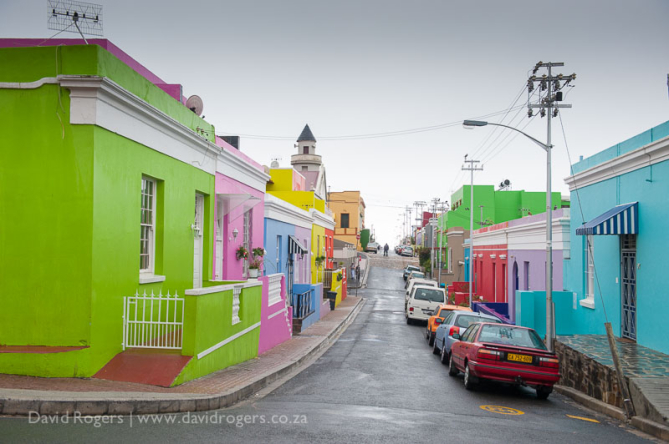 The colourful flower sellers of Adderley Street, the Greenmarket Square vendors and the colourful houses and Malay culture of Bo Kaap are all great to see. The Malay were originally brought to the Cape as slaves and their richly spiced cuisine still recalls their Indonesian heritage. 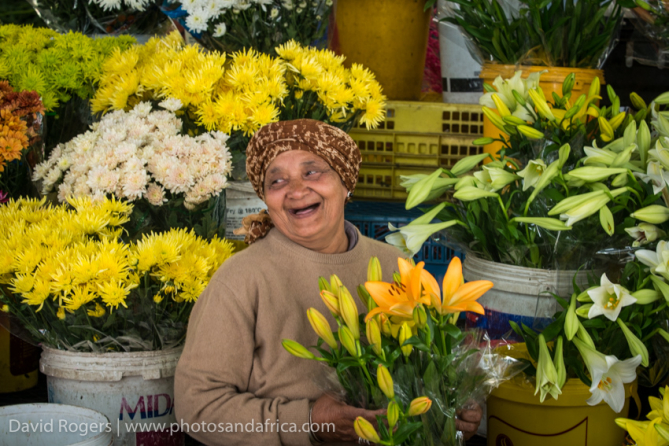 The flower sellers of Adderley Street make delightful photographic subjects (make sure you buy some flowers first) and so do the street vendors of Greenmarket Square. Once again a purchase is normally the ticket before taking a photograph! Victoria and Alfred Waterfront: The sprawling and derelict docklands of my youth have been transformed into Cape Town’s — and possibly South Africa’s – most fantastic man made attraction Its a must to visit this working dockland with its sophisticated shopping centres. 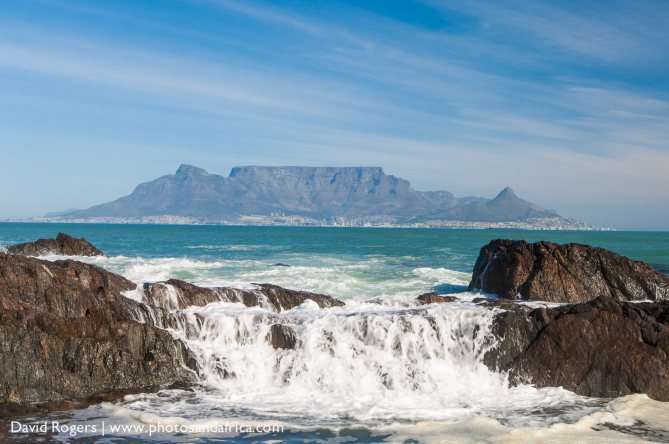 The views of Table Mountain are really great from places such as Den Anker (it also serves great Belgian beer) and don’t miss a visit to the Two Ocean’s Aquarium. Take your camera, turn up the ISO, and you will be rewarded with some great opportunities. 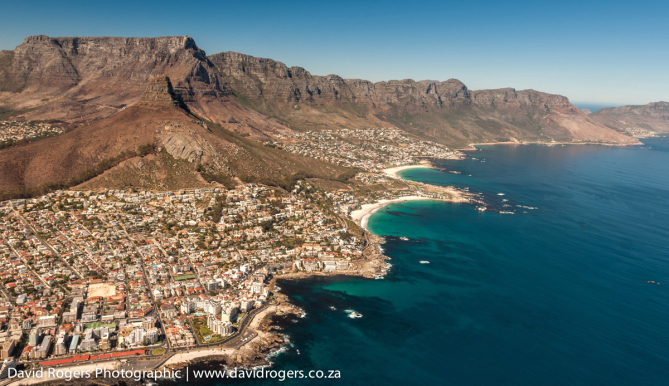 If you have a clear day then book a helicopter flip over the Cape Peninsula. The tours leave from the V&A waterfront and take roughly an hour. Lion’s Head: You can drive up Signal Hill for a view of the City, or if you have a time, park your car and take a walk up onto Lion’s Head. It is one of the most rewarding and quickest ways up ( 3hours up and down) and gives great views of Table Mountain, Camps Bay and the sprawling city below. On full moon, its fun to watch sunset and then walk down slowly by the light of the moon. 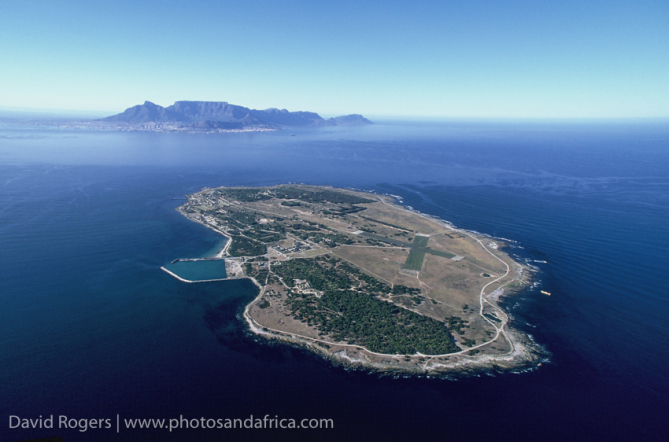 Robben Island: The trip to Robben Island is a great “must do” experience if you want to absorb the darker history of Cape Town and South Africa. You will get photographs of the cell and the prison where Nelson Mandela was held for so many decades. 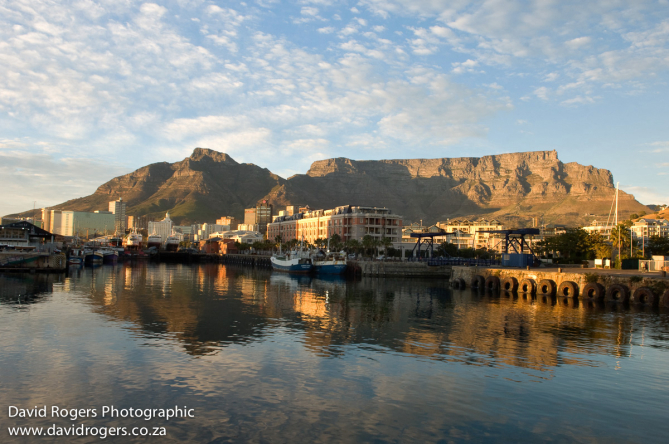 The trip also provides an opportunity to photograph Cape Town from the sea. The island has penguins, bank cormorants and interesting marine life. However the options are fairly limited as once get onto the island the tours are by bus which makes photography of the actual natural environment quite limited. This is a pity as its a great birding destinations with one of the largest colonies of breeding bank cormorants as well as penguins and other sea birds. Table Mountain from Blouberg: About 15 minutes north of Cape Town you will reach Blouberg (literally Blue Mountain) where you will look across Table Bay and Robben Island. Sunrise and Sunset can provide wonderful low light opportunities. Watch out for morning and afternoon traffic into the city which can be horrible. Best to choose a day when there is a bit of cloud if its sunsets you are after. Also will be useful to have a ND filter or Lee big stopper to add interest. 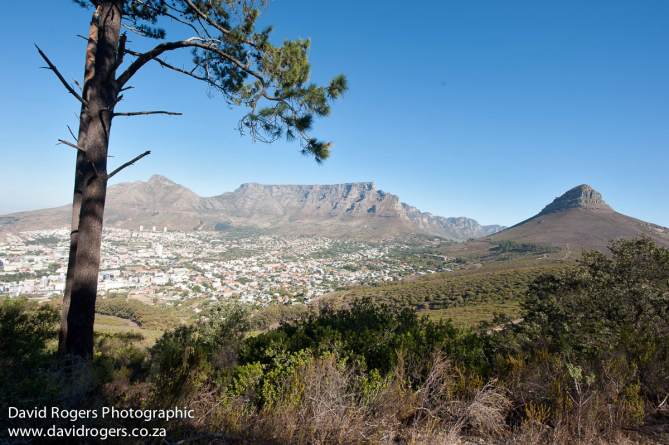 Township Tours: The vast sandy plain that stretches away from Cape Town towards Stellenbosch and the Hottentots Holland Mountains was until a million years ago covered by sea (yes, Table Mountain was previously an island), and is called the Cape Flats. 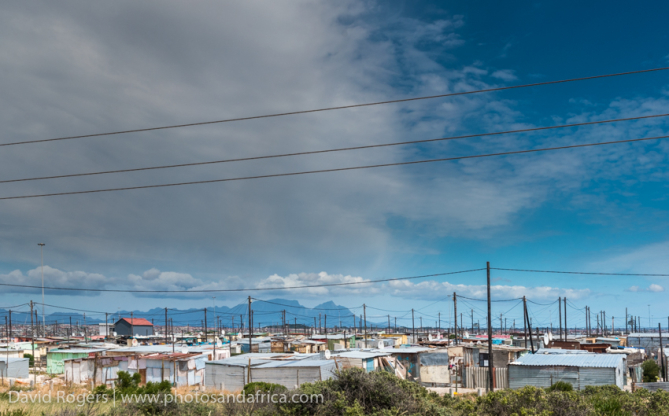 Millions of people live here in shanty towns with very poor services. But there are uplifting stories too. It is possible to visit shebeen pubs, local restaurants, art projects, cycling projects, photography projects, sangomas and a host of other fascinating subjects. Do not venture into these areas without a very experienced guide as some areas can be dangerous. 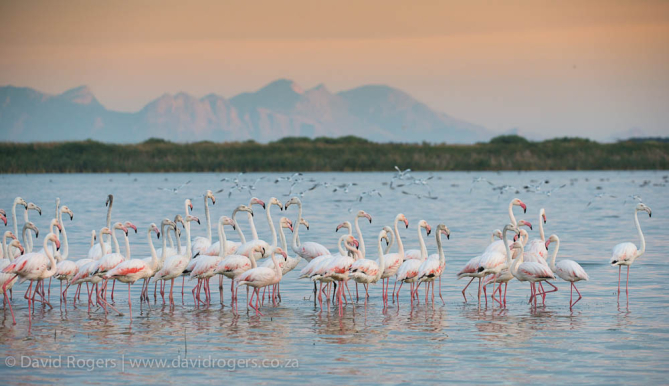 Strandfontein Sewer Works: It’s not the place for a picnic, but if you are wanting great flamingo shots and a wealth of other birds, this is probably the best birding place in Cape Town (the Cape Birding Route agrees). The abundant and diverse bird life makes it an ideal destination for the beginner and serious twitcher alike, and it is possible to see more than 80 species on a summer morning. A major advantage is the opportunity to bird from the comfort and security of your car, which can be used as a moving hide. I have photographed large flocks of flamingos here. And if you get your angles right (a bit of crawling required) you can get Table Mountain in the background. There is no raw sewerage and the settlement tanks are mostly fresh, but you will probably want to do your crawling in old clothes.